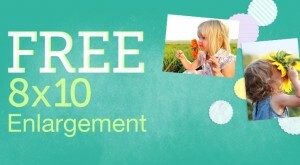 Head to Walgreens to get a FREE 8×10 photo print thru July 25, 2015! Order your print online and use code HOTDEAL61 at checkout to get it FREE. Note: This excludes ordering it from the mobile app. You have to order from your desktop.